The wait is over. Adobe ColdFusion 2018 has arrived! After speaking with Rakshith Naresh in our episode “Revealing the ColdFusion 2018 Roadmap Details”, we discussed some of what was going to be revealed in ColdFusion 2018. 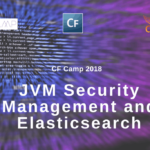 He was very detailed and has explained some of the great new performance and security features to be added to Adobe ColdFusion 2018. Here at TeraTech, we just couldn’t wait for it to be released. 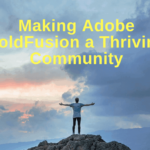 After the public beta went live in April of this year, great things were said by the community about some of the new changes made to Adobe ColdFusion. Let’s talk about some of the features debuting now in the Adobe ColdFusion 2018 family. I am also eager to hear first impressions from Adobe ColdFusion experts and developers. “Warp speed developments in technology – automation, artificial intelligence, and the arrival of the sharing economy – are transforming how we work. Beyond technology, traditional working patterns are also being disrupted by changes in society, organizations and workforce management, leading to the rise of a more independent and dispersed workforce.” –Alain Dehaze , CEO of The Adecco Group. With synchronous programming, your program is executed one line at a time going line by line. Although thorough, this particular way of programming has its flaws. If entering a time consuming execution, synchronous programming becomes very tedious. There is no way to stop the process once started. Now with ColdFusion’s new asynchronous programming, that particular bottleneck can be avoided. You can now enhance the performance of your application by transferring resource-heavy code segments to a secondary thread. Use the new RUNASYNC function to properly execute code without having to manage multiple threads. Adobe’s new UI makes it simple to validate the accuracy of all your REST APIs. You can also make changes to your APIs without having to restart the application. Why is it helpful to have a server monitor? It seems like a no-brainer, as server monitoring is a crucial part of daily development life. It is always helpful to know when there are problems or issues with your server. Server monitoring is there to inform you of the performance of the very heart of your network. Adobe’s new server monitor can help you do just that. It allows you to monitor problem areas and flag issues that arise so you can initiate corrective responses faster. Know your response times and throughput of nodes, apps, and pages in real time. Adobe has revamped the user interface with a new sleek and easy to use interface. This allows you to carry out all administrator tasks from one simple page. 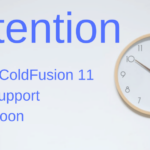 You will have access to all ColdFusion settings from here. This particular feature will make life much easier for new CF developers and veterans alike. Never before have your review workflows been so efficient on Adobe ColdFusion. With this new ColdFusion 2018 feature, you can easily export comments from your PDF files to XFDF and vice versa. This feature also maintains comment positioning from the original file to the transfer file. Another enhancement to the PDF system of ColdFusion is standardized PDF metadata. This is great because it allows and ensures consistency of PDF data across your entire operation. You can easily create, share, and apply this metadata by transferring between PDF and XMP files. This also applies to copyright notices, authoring data, and keywords. Adobe ColdFusion Standard comes in at $2,499.00. However for those unsure whether to buy, there is a 30 day free trial of ColdFusion 2018 Standard available on the website. Give it a try and find out whether the standard edition is right for your needs. This is a great new feature for those with security concerns. The days of manually locking down your project in ColdFusion are in the past. With the new auto lockdown feature, you can implement lockdown of your production server with one simple click. Full lockdown procedures will be systemically applied making sure all security measures are fail-safe and within compliance. After the lockdown, all systems will be continuously monitored for breaches and potential security threats. This tool was introduced to help with performance and troubleshooting issues. The Code Profiler tool allows for users to swiftly identify, analyze, debug, and resolve complex issues buried deep inside the complex code. This allows you to pinpoint sources of bottlenecks and troubleshoot complex issues more effectively. With this new feature, you will be able to maximize your resource sharing and ROI. This occurs by exposing APIs to multiple organizations all on the same server. You can also control access to your server by flagging organizations and isolating their tenant space. Finally, you can assign organization admins the right to manage and monitor individual tenancies. For other developers, you can insert your own caching engine. Just implement a simple CFML interface. The new toolkit has a little of everything sure to fit all developers needs for optimum performance. These features are just a few of the functions you will receive upon purchasing Adobe ColdFusion EE. The version comes in starting at $9,499.00. Like the standard edition, the EE comes with a 30-day trial to determine if this is the right product for your needs. You can now work with files, databases, email, and invoke web services by executing CFM via the command line. Also, you can execute the Admin API from the CLI to script your CF server settings. Support has been added for REPL (Read-Print-Eval Loop). REPL is an interactive programming environment. It allows for single user input to be evaluated and returned to the user. You can enter REPL mode in CF 2018 from the home directory. Simply input cf.bat/cf.sh and REPL will open in the terminal. While in REPL mode, you can run and execute snippets of code, multiple lines of code, or a cfm. There are a few advantages to running code using CLI and REPL. First, you can automate server setup using the administrator. Next, this allows you to rapidly test snippets of code. Lastly, you can test out a cfm without having to start up the server. As an added bonus, all features of CLI are readily available in REPL mode. 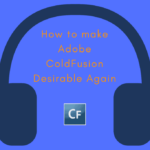 Along with all the great new features Adobe has pumped into ColdFusion, some of the most interesting may be a set of new functions that can be utilized. These BIF (Built In Functions) are all utilized using single line invocation. These are available for both editions. Along with, member functions have been enhanced to provide meaningful values as to enhance Member Functions Chaining. This another top-of-the-line security update from Adobe. Every CF expert knows the weight that a great security system can carry. This tool pushes levels of security to a new level. It automatically scans and searches your application code for any existing security vulnerabilities and any potential security breaches. It determines the exact vulnerable code, type of vulnerability, and severity level. After all of that, the analyzer presents you with the option of removing and repairing the problem via recommended means. This may be the security tool that we have all been waiting on. Use the integrated debugger to reduce your testing times. This can also be used to detect and repair hard-to-fix bugs. All you have to do is run your code directly within the IDE to analyze for the hostile code. The integrated debugger is here to make your debugging life much easier. You can purchase this package separately from ColdFusion 2018 for $299.00 or add it on as an upgrade to ColdFusion 2018 for $49.99. These are the new products Adobe has released with its ColdFusion 2018 family. There are many new features Adobe has installed with the focus being primarily on platform performance. However, a few great security additions have been made. This seems to be a well-thought out release with consumer needs in mind. Go and try out the latest version of Adobe ColdFusion, and let us know what you think! 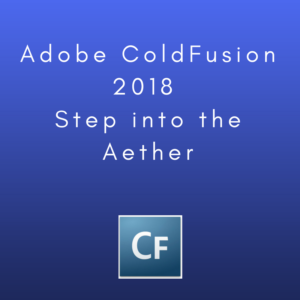 What are your hopes for Adobe’s ColdFusion 2018? 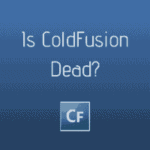 Are you excited to see what lies ahead for Adobe ColdFusion? Are you going to make the switch to ColdFusion 2018? ← Previous Post Adobe ColdFusion Summit 2018 Pre-Conference Shows- and It Looks Awesome!